It’s the Little Things! | Only at His Feet! I want to get just a little personal today. I had a dear friend text me and say she had some things to give me. Guess what they were? YES, you got it! Undies! 16 pair of them! I was so excited. It was the answer to a need! You can laugh all you want but I believe that it was God providing a need that I had. You see, we definitely give Him credit for the big things. New car, new house, healing our bodies, financial assistance when things are tough but I think the little things get lost most of the time. He is a God that wants to be included in our every day things…in the smallest of details in our lives. He is our Father! He desires to be included in all we do and all we are. We’re the ones who limit His hand. Don’t you think it’s time we stop putting limits on who Jesus is in our lives? My prayer is that I not limit my Lord in my life…that I allow Him to be involved in all areas and every aspect of my being…that I encourage others to praise Him for ’16 pair of undies’. How about you? 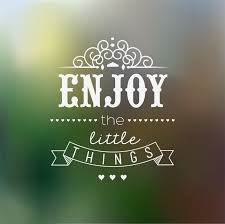 It is the little things we can thank God for just as much as the big things. Thanks for posting. I challenge you to join the #GiveThanksChallenge. A list of “bad” things that happen, and your challenge is to find a personal example for each category and be thankful for it. Maybe it was a blessing in disguise or a lesson learned.